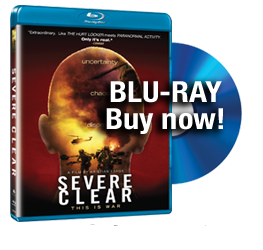 Severe Clear (12 pm Sunday, Movies of Delray; 12 pm Monday, Lake Worth Playhouse): By now, there have been so many documentaries on the Iraq War, it seems difficult to approach the subject with a fresh cinematic perspective. 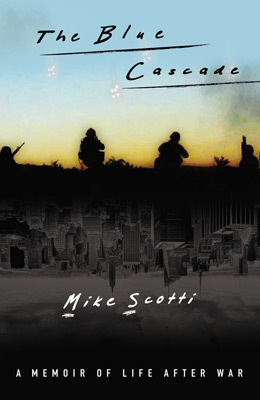 But that is what director Kristian Fraga (Anytown, USA) has done by organizing the videocassettes of Marine 1st Lt. Mike Scotti, an early deployee in Operation Iraqi Freedom who shot a series of disjointed journal entries. The result is postcards from the edge, with minimal filter or agenda between the cinema-diarist and the audience. Scotti took a mini-DV camera along on his 40-day odyssey aboard the U.S.S. Boxer and shot some truly candid, hand-held footage of his fellow Marines and their gallows humor, which gradually gets erased as their draw closer to a newly minted war that they neither understand nor question. Scotti reportedly handed over to Fraga a bagful of videotapes to make something of them. And while the images are startling in their freshness, it is the editing job, which gives the finished film its forward thrust, that is most impressive.